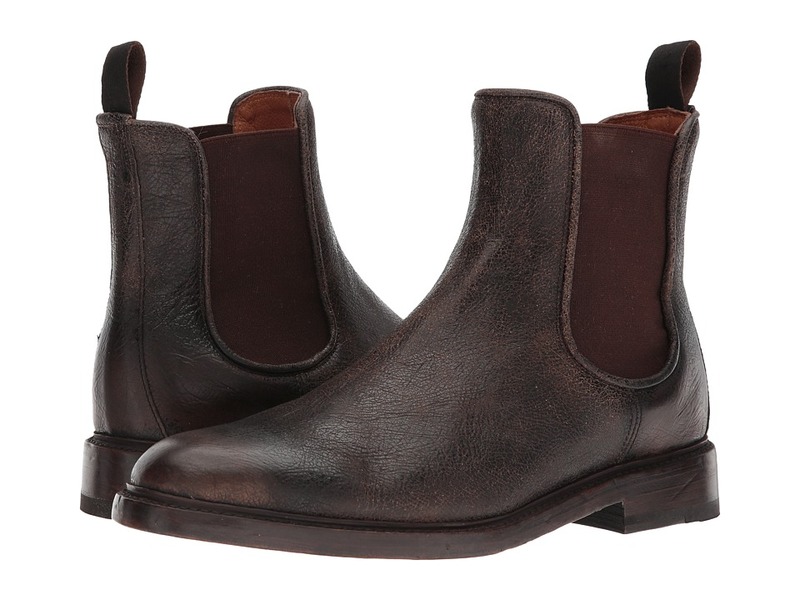 The casually refined Frye Jones Chelsea boot is the perfect fit for both your work day and your urban adventures. Well-crafted oiled suede upper. Easy slip-on design with elastic gore side panels for a comfortable, secure fit. Goodyear welt construction for long-lasting durability. Back pull loop for easy entry. Leather lining for a comfortable next-to-skin feel. Lightly cushioned footbed for all-day comfort. Durable rubber outsole. Imported. Measurements: Weight: 1 lb 8 oz Circumference: 10 in Shaft: 6 3 4 in Product measurements were taken using size 11, width D - Medium. Please note that measurements may vary by size. Weight of footwear is based on a single item, not a pair. 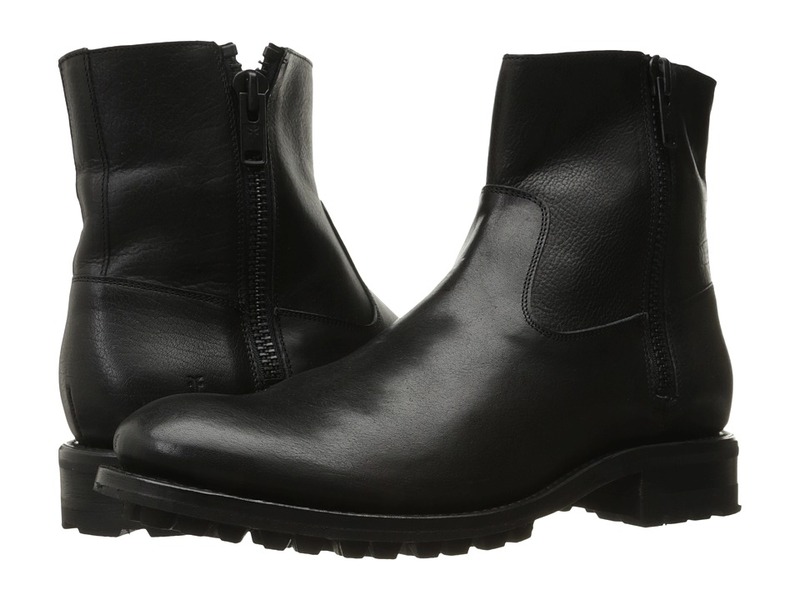 Casually refined, the Frye Jones Lace-Up makes the ideal urban boot. Masterfully crafted premium leather upper. Leather is from France and Holland, is handsomely crafted, and wears in beautifully and produces a rich patina sheen. Lace-up design with waxed laces. Smooth leather lining. Cushioned leather footbed. Leather and rubber outsole provides excellent durability and traction. Imported. Measurements: Weight: 1 lb 12 oz Shaft: 6 in Product measurements were taken using size 11.5, width D - Medium. Please note that measurements may vary by size. Weight of footwear is based on a single item, not a pair. The Frye John Addison Lace-Up boot easily blends a ruggedly traditional silhouette with a clean, modern leather for a timeless look. Handcrafted waxed suede upper. 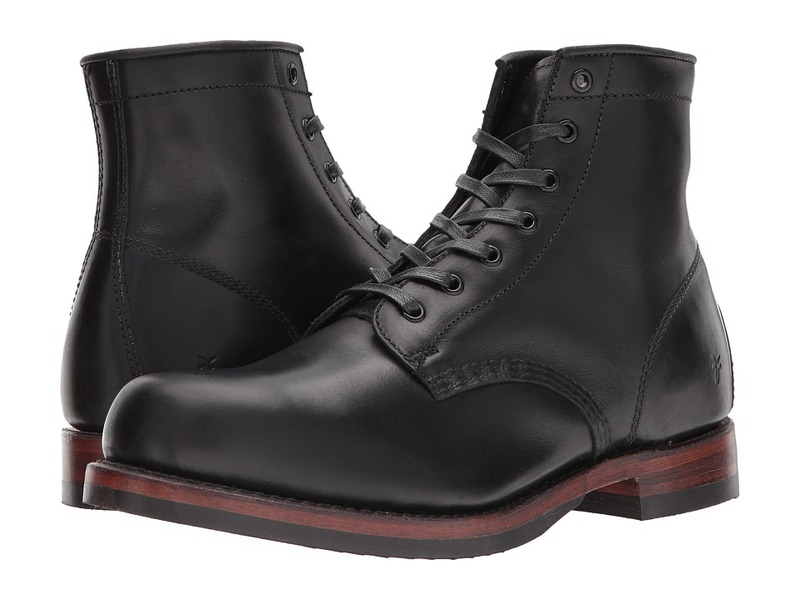 Traditional lace-up design with raw hide leather laces and sturdy metal eyelets. Goodyear welt construction for long-lasting durability. Unlined interior. Lightly cushioned leather footbed. Leather outsole. Made in the U.S.A. Measurements: Heel Height: 1 1 4 in Weight: 1 lb 13 oz Shaft: 6 in Product measurements were taken using size 11, width D - Medium. Please note that measurements may vary by size. Weight of footwear is based on a single item, not a pair. The casually refined Frye Jones Oxford easily complements both your work day and your urban adventures. 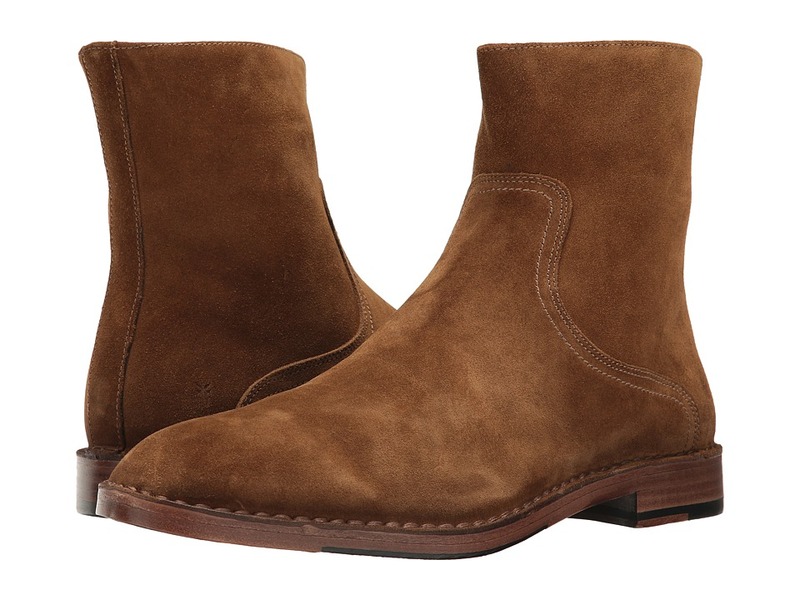 Well-crafted oiled suede or vintage veg tan leather upper. Leather type stated in color name. Traditional lace-up with waxed laces. Goodyear welt construction for long-lasting durability. Leather lining for a comfortable next-to-skin feel. Lightly cushioned footbed for all-day comfort. Durable leather and rubber outsole. Imported. Measurements: Weight: 1 lb 8 oz Product measurements were taken using size 11.5, width D - Medium. Please note that measurements may vary by size. Weight of footwear is based on a single item, not a pair. 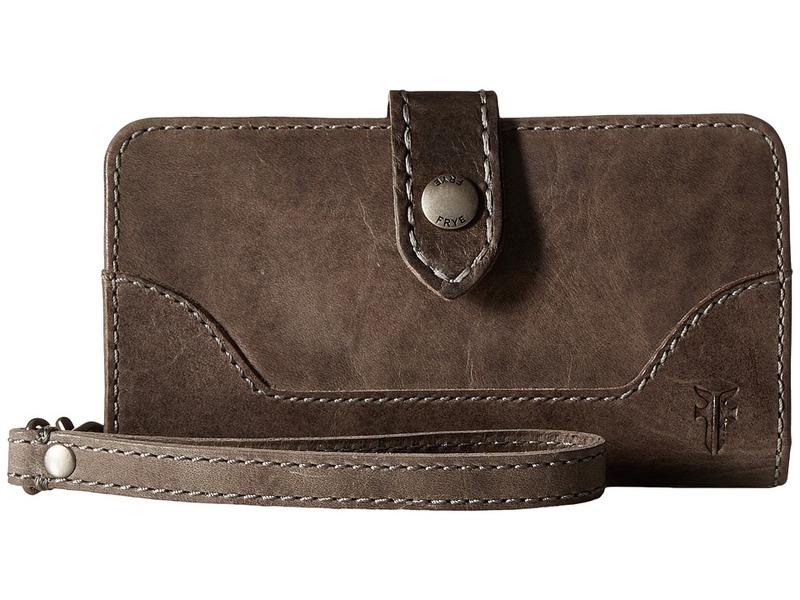 The Frye Mark Inside Zip has a relaxed yet sophisticated style that complements dressier and more relaxed attire. Well-crafted oiled suede or tumbled full grain Italian leather upper. Leather type stated in color name. Inside zip closure for easy on and off. Leather lining for a comfortable next-to-skin feel. Lightly cushioned leather footbed for all-day comfort. Leather rubber outsole with split leather and rubber heel. Imported. Measurements: Weight: 1 lb 8 oz Circumference: 11 1 2 in Shaft: 7 in Product measurements were taken using size 11, width D - Medium. Please note that measurements may vary by size. Weight of footwear is based on a single item, not a pair. 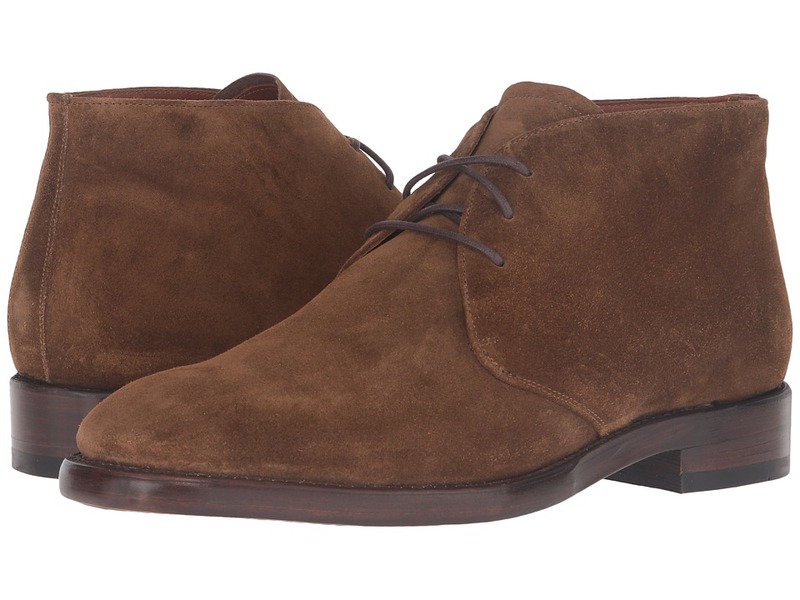 Keep an element of western charm going with the casual Weston Chukka from Frye. Well-crafted oiled suede or smooth veg calf leather upper. Leather type is stated in the color name. Ankle boot silhouette with a lace-up closure. Leather lining for a comfortable next-to-skin feel. Lightly cushioned leather footbed for all-day comfort. Durable leather outsole with rubber insets for added traction. Imported. Measurements: Weight: 1 lb 11 oz Shaft: 4 1 2 in Product measurements were taken using size 12, width D - Medium. Please note that measurements may vary by size. Weight of footwear is based on a single item, not a pair. 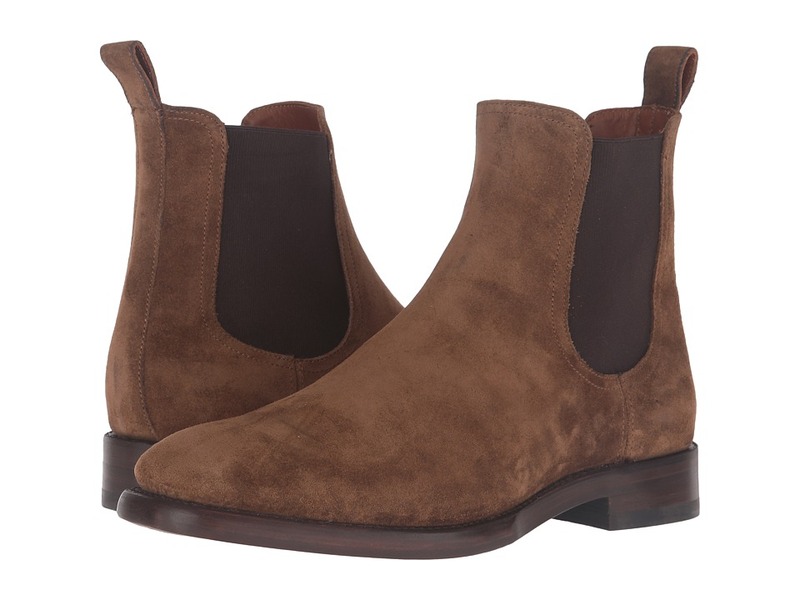 The handsome Frye Weston Chelsea boot boasts a streamline silhouette with a rich suede that makes this a very smart style. Well-crafted oiled suede or smooth veg calf leather upper. Leather type is stated in the color name. Easy slip-on design with elastic gore side panels for a comfortable, secure fit. Leather lining for a comfortable next-to-skin feel. Lightly cushioned leather footbed for all-day comfort. Durable leather outsole. Imported. Measurements: Weight: 1 lb 11 oz Shaft: 6 1 2 in Product measurements were taken using size 12, width D - Medium. Please note that measurements may vary by size. Weight of footwear is based on a single item, not a pair. 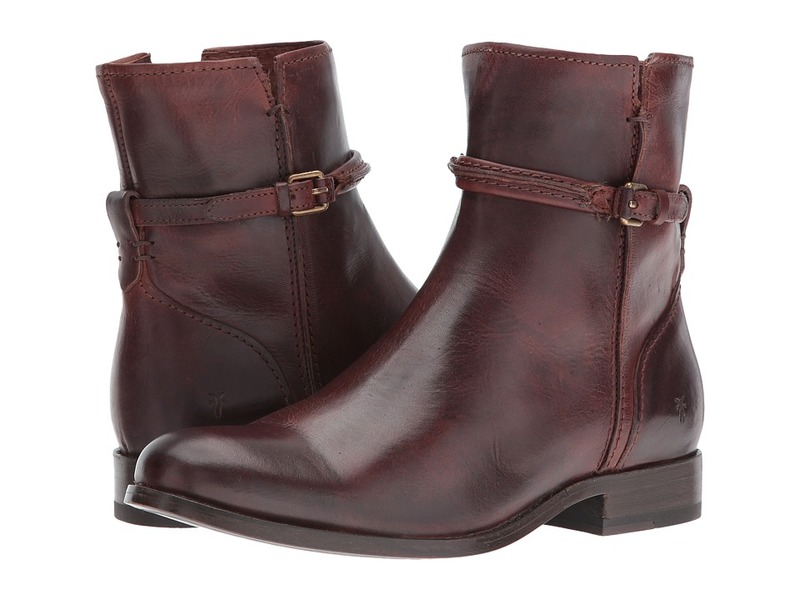 The Weston Roper boot from Frye offers a refined style that will complement your modern look. Vintage pull-up leather upper with a hand-antiqued finish. Side pull loops for easy entry. Goodyear welt construction. Soft leather lining for an incredible fit and feel. Cushioned leather footbed for all-day comfort. Leather and rubber outsole provides excellent traction. Made in the U.S.A. Measurements: Weight: 2 lbs 1 oz Circumference: 15 in Shaft: 12 1 2 in Product measurements were taken using size 12, width D - Medium. Please note that measurements may vary by size. Weight of footwear is based on a single item, not a pair. The Melissa Seam Short boot from Frye takes their modern classic re-imagined with new stitch embellishment. Vintage Veg Tan and Washed Antique Pull Up leather upper. Leather type is stated in the color name. 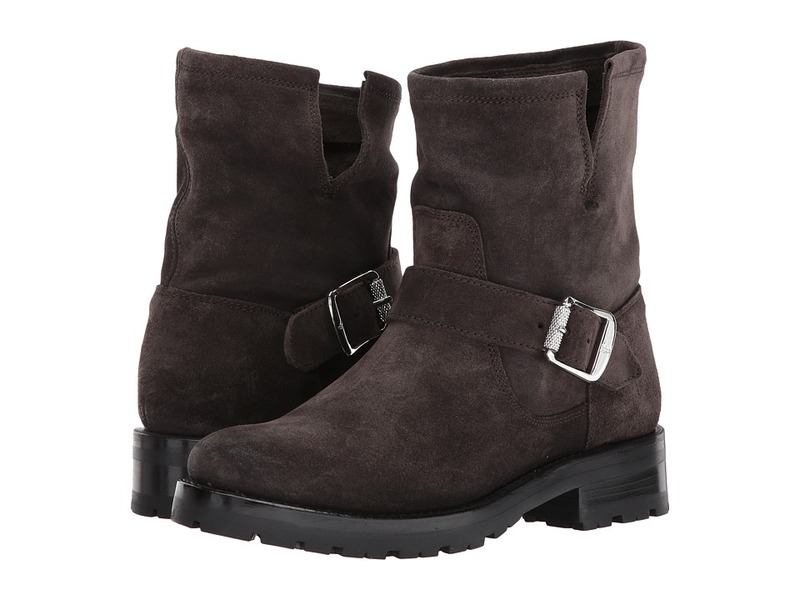 Features raw-edge trapunto seam and buckle detailing at the ankle. Classic pull-on design with curved topline and cuff. Smooth leather lining. Cushioned leather insole provides lasting comfort. Durable leather outsole. Imported. Measurements: Heel Height: 1 in Weight: 15.2 oz Circumference: 10 1 2 in Shaft: 6 1 4 in Product measurements were taken using size 8, width B - Medium. Please note that measurements may vary by size. Weight of footwear is based on a single item, not a pair. The Melissa Seam Tall boot from Frye takes their modern classic re-imagined with new stitch embellishment. Vintage Veg Tan and Washed Antique Pull Up leather upper. Leather type is stated in the color name. 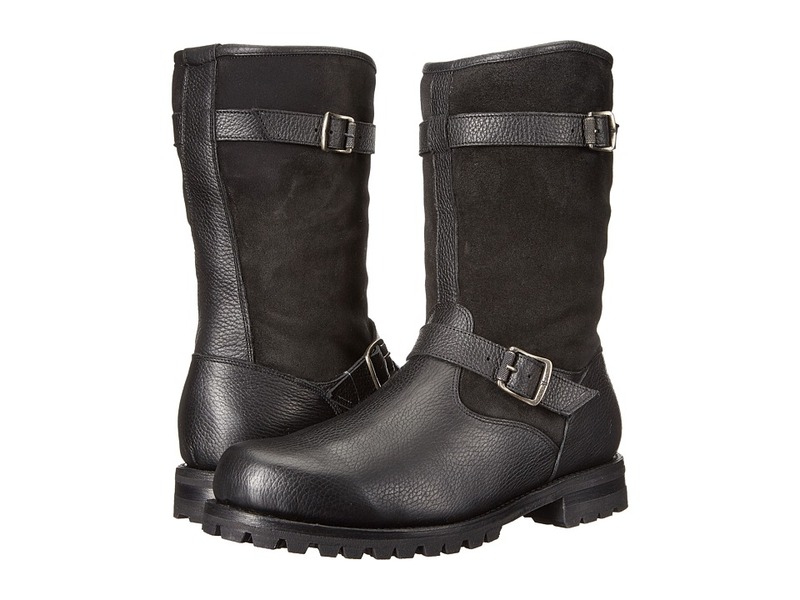 Features raw-edge trapunto seam and buckle detailing at the ankle. Classic pull-on design with curved topline and cuff. Smooth leather lining. Cushioned leather insole provides lasting comfort. Durable leather outsole. Imported. Measurements: Heel Height: 1 in Weight: 1 lb 7 oz Circumference: 15 1 2 in Shaft: 17 3 4 in Product measurements were taken using size 11, width B - Medium. Please note that measurements may vary by size. Weight of footwear is based on a single item, not a pair. 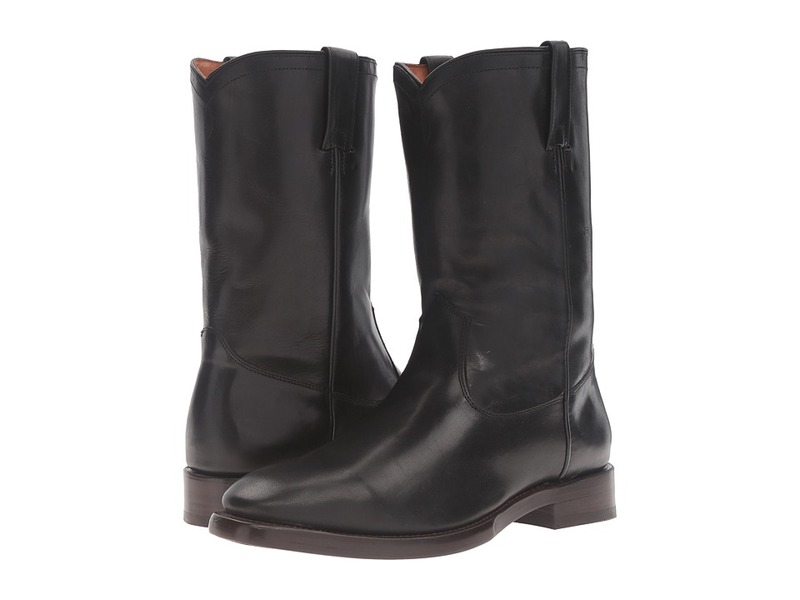 The Natalie Short Engineer Lug boot by Frye gives this classic style a feminine update with its rich leather and streamlined silhouette. Short engineer boot. Waterproof waxed pebbled leather or soft oiled suede upper. Please note that only the Waterproof Waxed Pebbled Leather boot style has shearling lining made of natural lamb fur from Mexico. Decorative antique metal buckle at ankle. Side split at collar for an easier fit. Goodyear welt construction offers better flexibility and durability. Soft leather lining for a comfortable next-to-skin feel. Lightly cushioned leather footbed offers all-day comfort. Durable rubber outsole with thick lug pattern for excellent traction. Imported. Measurements: Heel Height: 1 1 4 in Weight: 1 lb 11 oz Circumference: 12 in Shaft: 6 1 2 in Product measurements were taken using size 8, width B - Medium. Please note that measurements may vary by size. Weight of footwear is based on a single item, not a pair. 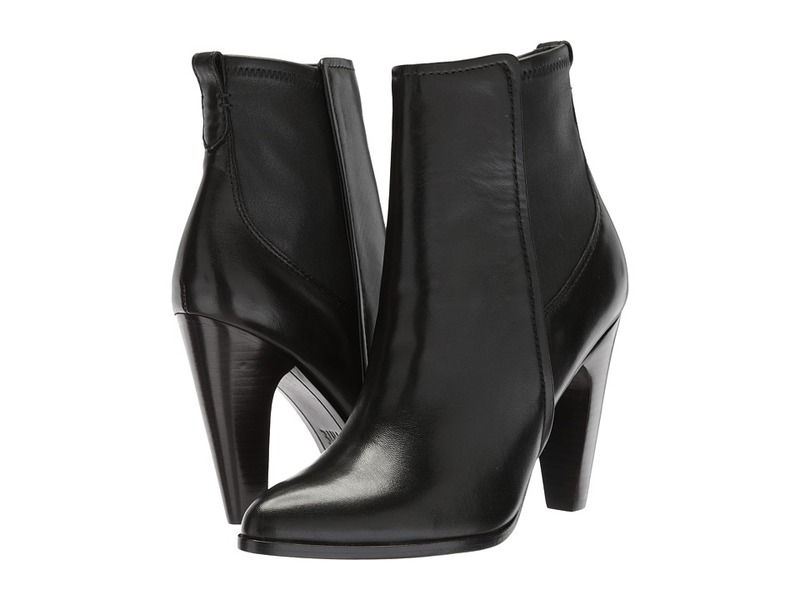 You will love the sleek and elegant style of the Frye Roxanne Stretch Short bootie. Soft lamb leather upper. Inside zip closure for easy on and off. Discretely hidden gore panel for a stretchy yet secure fit. Smooth leather lining for a comfortable next-to-skin feel. Cushioned leather footbed for all-day comfort. Pointed toe. Stacked tall heel for a more vintage look. Durable leather outsole with a rubber heel tab for added traction. Imported. Measurements: Heel Height: 4 in Weight: 13 oz Circumference: 8 3 4 in Shaft: 7 in Product measurements were taken using size 8.5, width B - Medium. Please note that measurements may vary by size. Weight of footwear is based on a single item, not a pair. 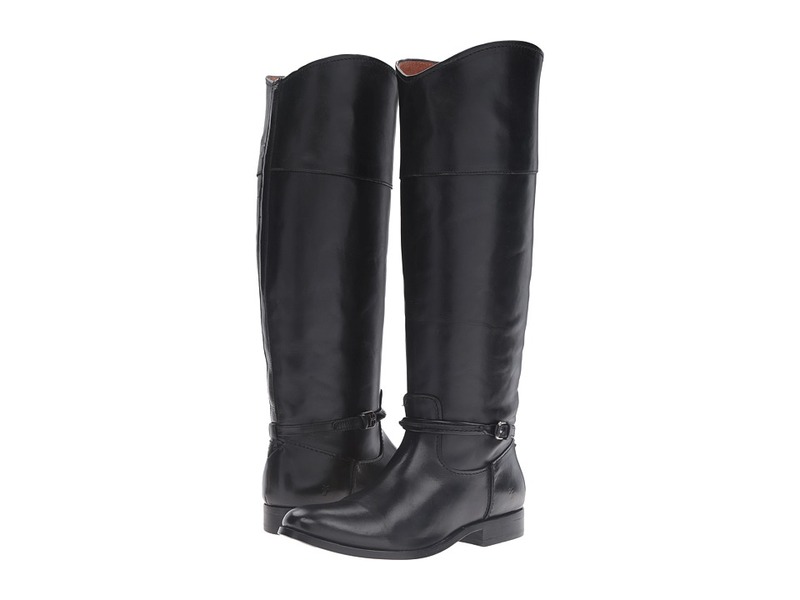 You will love the sleek and elegant style of the Frye Roxanne Stretch Tall boot. Soft lamb leather upper. Inside quarter-length zip closure for easy on and off. Discretely hidden gore panel for a stretchy yet secure fit. Smooth leather lining for a comfortable next-to-skin feel. Cushioned leather footbed for all-day comfort. Pointed toe. Stacked tall heel for a more vintage look. Durable leather outsole with a rubber heel tab for added traction. Imported. Measurements: Heel Height: 3 1 2 in Weight: 1 lb Circumference: 13 1 2 in Shaft: 18 1 4 in Product measurements were taken using size 8, width B - Medium. Please note that measurements may vary by size. Weight of footwear is based on a single item, not a pair. The handcrafted Frye Samantha Hiker boot blends a classic rugged silhouette with a refined leather construction, providing a timeless style that will let you standout this season. Made of either waterproof waxed pebbled leather and quilted wool upper - OR - smooth veg calf and oiled suede upper. Leather type is stated in the color name. Traditional lace-up design with thick fabric laces and antique silver hardware for a sturdy fit. Cap toe detail. Back heel loop for easier entry. Goodyear welt construction. Comfortable leather lining. Cushioned leather footbed for all-day comfort. Durable rubber outsole with lugged pattern for excellent traction and stability. Imported. Measurements: Heel Height: 1 1 2 in Weight: 1 lb 6.4 oz Shaft: 6 in Product measurements were taken using size 5.5, width B - Medium. Please note that measurements may vary by size. Weight of footwear is based on a single item, not a pair. The moto-inspired Frye Stanton Outside Zip boot has an understated style that will still have you standing out this season. Tumbled full grain leather upper. Outside zip closure for easy on and off. Goodyear&amp#174 welt construction. Leather lining for an excellent next-to-skin comfort. Lightly cushioned leather footbed provide underfoot comfort and support. Durable rubber outsole with pronounced lug pattern for excellent traction. Imported. Measurements: Heel Height: 1 1 2 in Weight: 1 lb 14 oz Circumference: 11 1 2 in Shaft: 6 1 2 in Product measurements were taken using size 12, width D - Medium. Please note that measurements may vary by size. Weight of footwear is based on a single item, not a pair. 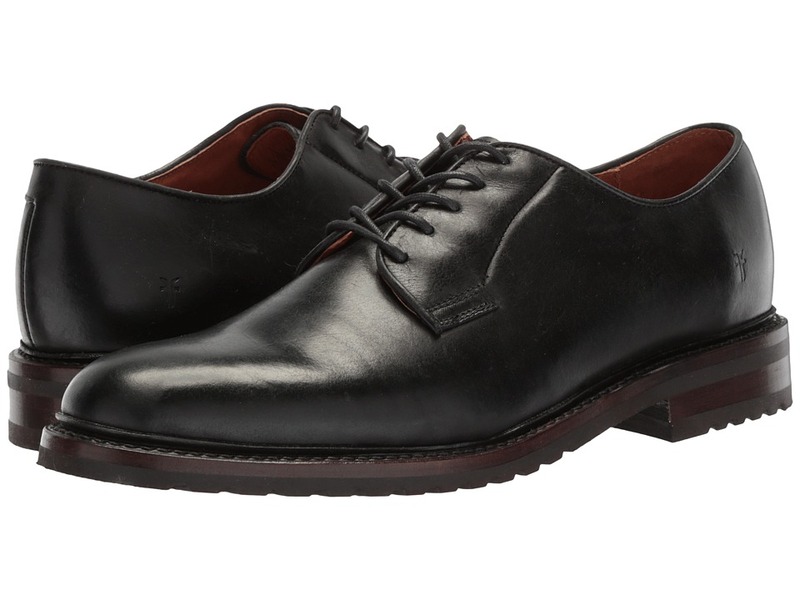 Add an element of western charm with the casually refined style of the Weston Oxford from Frye. 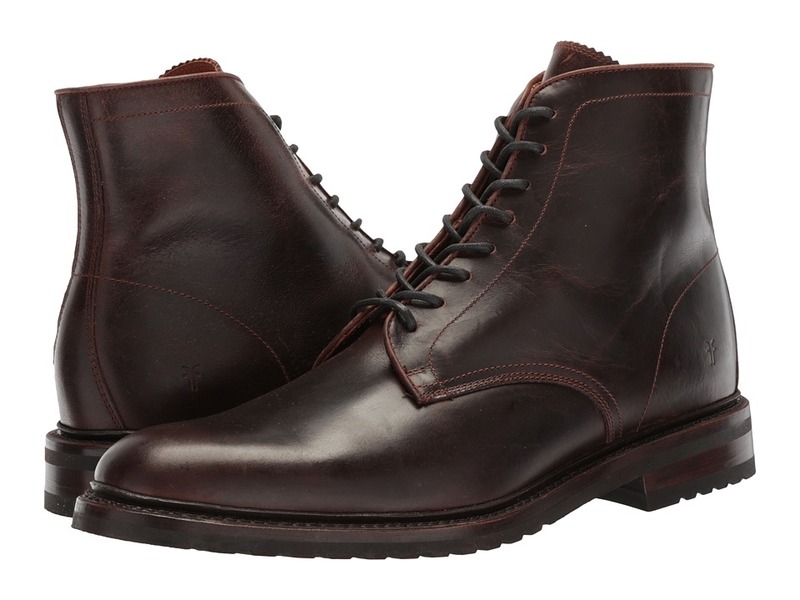 Rich, smooth vegetable-tanned calf leather upper. 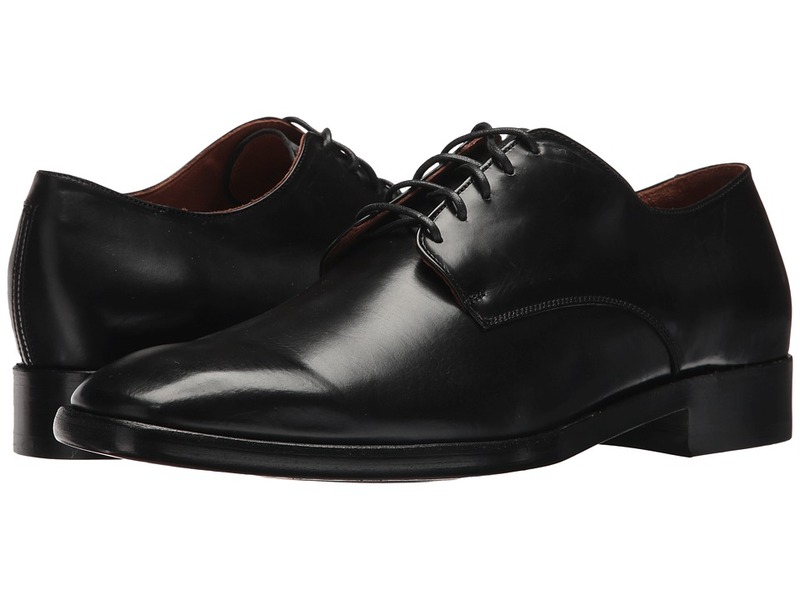 Classic oxford with waxed fabric laces closure. Leather lining for a comfortable next-to-skin feel. Goodyear&amp#174 welt construction. Lightly cushioned leather footbed for all-day comfort. Leather outsole with rubber heel cap and rubber forepart for excellent traction. Imported. Measurements: Weight: 1 lb 3 oz Product measurements were taken using size 11.5, width D - Medium. Please note that measurements may vary by size. Weight of footwear is based on a single item, not a pair. 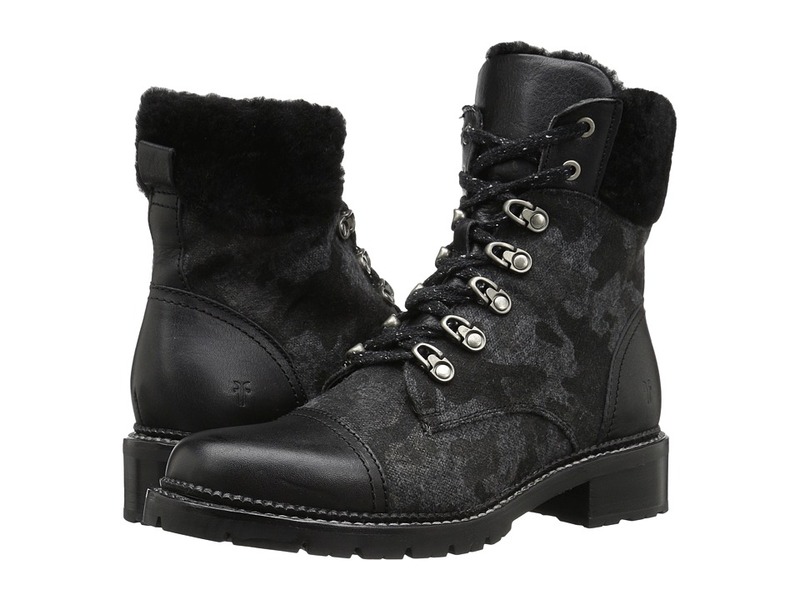 The Frye Wyoming Engineer boot will keep you warm and comfortable on those outdoor walks and the city streets! Handcrafted water-resistant waxed pebbled leather and waterproof waxed suede upper. Traditional lace-up design with thick fabric laces and antique silver hardware for a sturdy fit. Plush shearling lining provides excellent warmth and comfort. Contains real shearling from sheep that is natural and has not been treated or dyed. Fur Origin: Mexico. Goodyear welt construction. Cushioned leather footbed for all-day comfort. Durable rubber outsole with sturdy lugged pattern for excellent traction and stability. Imported. Measurements: Heel Height: 1 1 2 in Weight: 2 lbs 1 oz Circumference: 16 in Shaft: 11 in Product measurements were taken using size 11, width D - Medium. Please note that measurements may vary by size. Weight of footwear is based on a single item, not a pair.